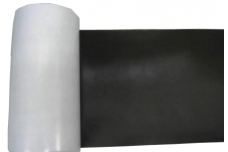 Fiberglass Cloth Reinforced Aluminium Foil Tape GF0301-195 coated with aggressive solvent-based hot melt adhesive, which provides with high peel adhesion and quick sticking. Designed for sealing joints and seams of foil jacket facings in air-conditioning duct work and for fixing copper tubing in refrigerators. 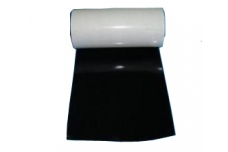 1.Used for wrapping pipes, engines and wires. 2. Applied in tubes and jointing catalyst for airconditioner, refrigerator and water heaters and other outdoor applicaions. 3. Heat or cold reflective wrap along or over insulation.Apply to tubes,engine support structures.Wrapping vinyl coated wires to protect them from water,dust,and any chemical.